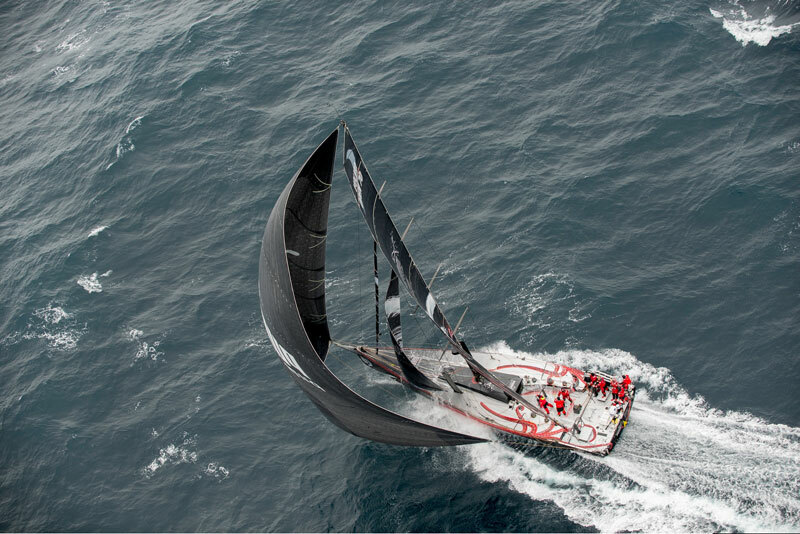 The Leg 8 race from Lisbon to Lorient was short, but it was anything but sweet. From drifting in the Azores to racing into the eye of a storm where searing speeds and heartbreaking boat damage resulted, the shortest leg of the race yet didn’t come up short on drama. Just shy of 2,000 miles, the penultimate leg first lured the teams in with a false sense of security with drifting conditions in the Azores High at the São Miguel Island turning mark. The six-boat fleet compressed to within just 10 nautical miles as they tacked around the island, completing the first real manoeuvre of what had otherwise been a moderate-paced reaching race that favoured the three Juan K boats: Telefónica, Groupama and PUMA. 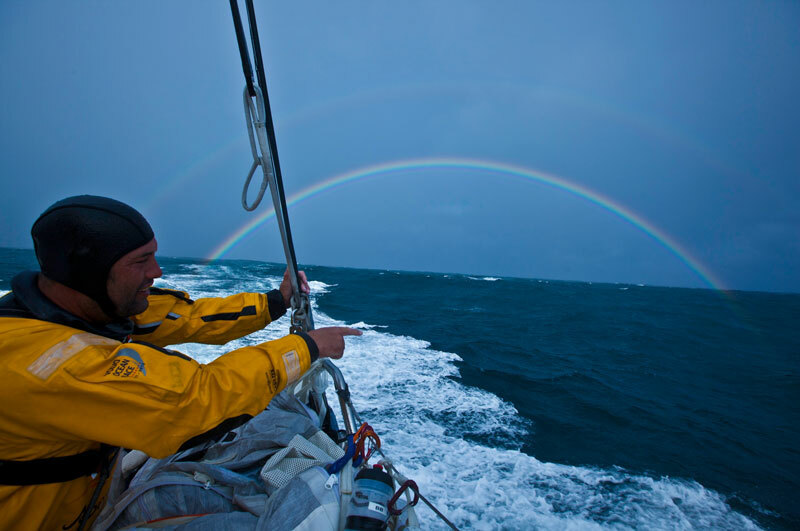 The calm before the storm soon passed as the teams raced into an unavoidable gale-force low pressure system in the North Atlantic that made even the most experienced skipper an anxiety ridden insomniac. “It’s hard as skipper sailing into a low pressure system that you know is going to be brutal from a safety standpoint,” PUMA skipper Ken Read said. The Volvo Open 70s ramped up to speeds in the 20s and talk of an IWC Schaffhausen 24-hour Speed Record soon began. In pole position it was Telefónica who first notched a record, overtaking the 2011-12 race best of 553 nm set by CAMPER with Emirates Team New Zealand on the Leg 1 race from Alicante, Spain to Cape Town, South Africa. 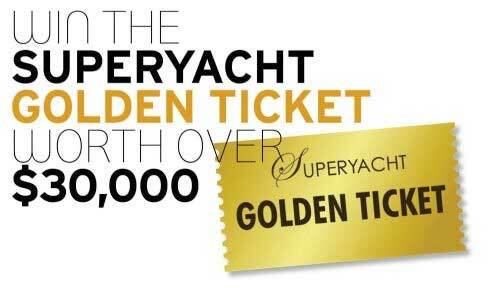 Soon enough, Chris Nicholson’s team were back on top with what would prove an unbeatable result of 565.84 nm. CAMPER trimmer/helmsman Rob Salthouse, competing in his third Volvo, said racing at such hair-raising speeds was exhilarating stuff, but crazy too. “I’m told you don’t have to be mad but it helps, and if anyone thought that was fun they’re mad,” he said. “It was dreadful. We were pushing man and boat to the limit for 48 hours. It was a great battle though, and that’s why we do this race. “It’s why we keep coming back to this race – for the battle. The question on everyone’s lips was one of risk versus reward — or just how hard could the teams push boat and sailor before something had to give in the violent conditions? “The last day and a half was really full on,” said Abu Dhabi skipper Ian Walker. “it was mentally hard knowing how hard to push. It’s so hard to back off in these boats. “There’s just such a huge difference between backing off a little and going flat out. No one paid a higher price in the high-stakes penultimate leg than former overall race leader Team Telefónica. The Spanish team first struck trouble on June 14 when the team broke their starboard rudder in 25 knots of wind, losing 11 nautical miles on the fleet and dropping from first to fourth. 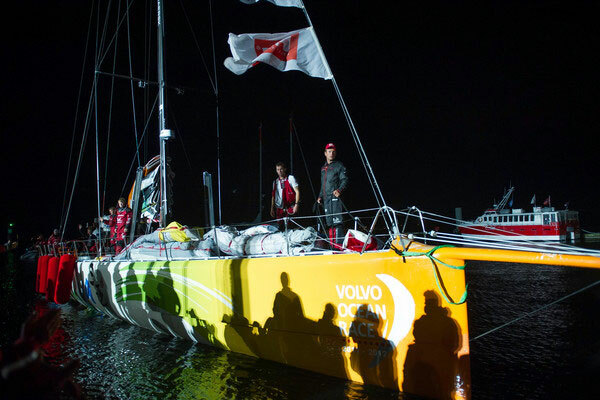 The ever defiant crew surged back to the lead within hours before a second round of problems broke their replacement rudder and damaged the port rudder. As the team dropped off the pace while stabilising their damaged boat the reality sank in. “We have just seen any chance of us winning this round the world regatta slip away,” a heartbroken Martínez said just hours after the incident. 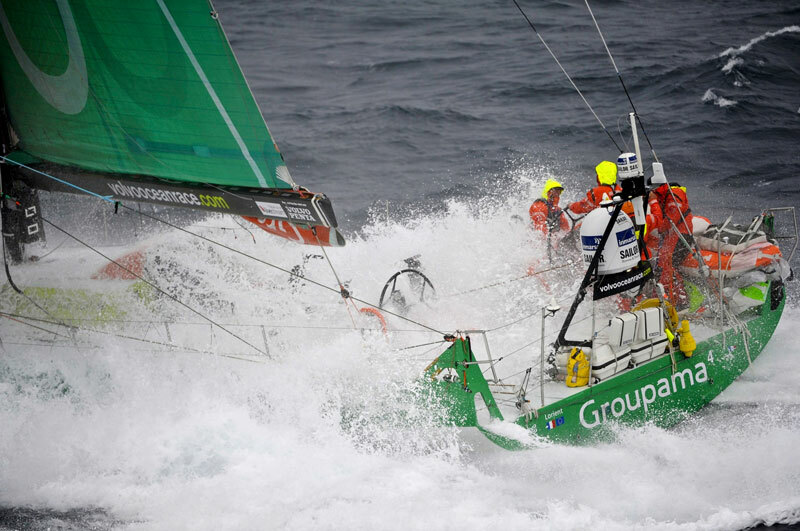 It hadn’t been smooth sailing for Groupama either. Just 48 hours from the finish, Groupama faced a potentially dangerous situation as they tried to reduce sail area in preparation for gale-force winds. The team’s mainsail got jammed at the top of the mast leaving bowman Brad Marsh to carry out some mid-sea heroics, climbing to the top of the 31-metre mast three times in winds of well over 20 knots and rough seas. After two hours of repairs, Marsh’s skills kept the French team in the race and they only lost out 20 miles to the fleet. 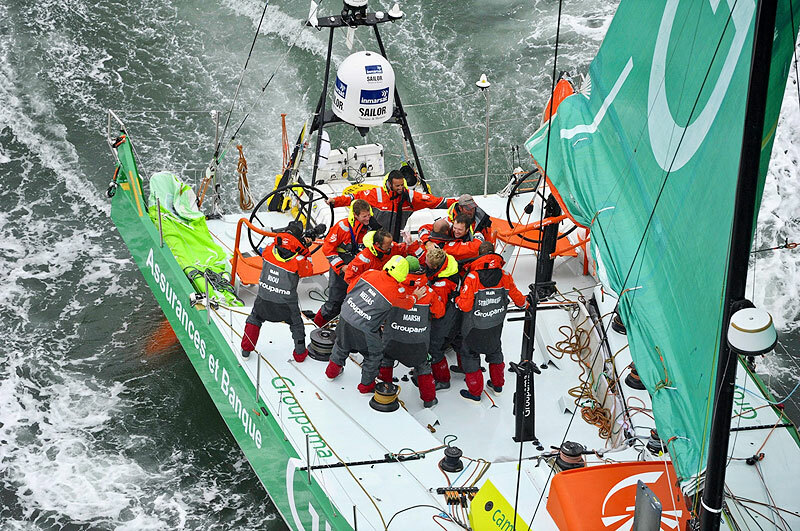 With Telefónica now in survival mode and no threat to the lead, Groupama had the break they needed, completing a heroic comeback that firmed their grip on the overall standings and realising a dream homecoming to their base in Lorient. CAMPER were second, followed by PUMA in third and Abu Dhabi fourth — all within the space of thee hours. 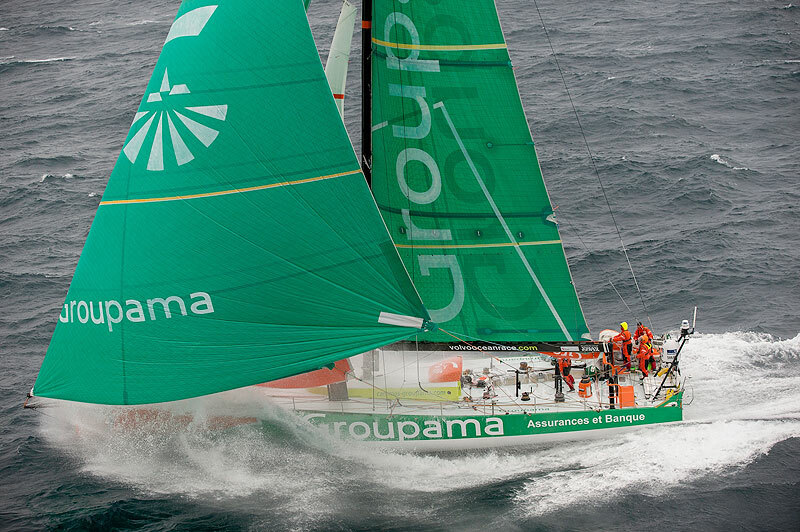 Groupama earned 30 points to move on to a total of 219 points, 23 points clear of their nearest rivals PUMA Ocean Racing powered by BERG, who moved into second place with 196. CAMPER are five points further back, level with Telefónica after they held off a late challenge from Team Sanya to take fifth. Sanya gave it everything on that final day, just as they have done from the start, but once again they had to settle for sixth in a race where they have been overpowered by five newer and quicker designs. With just one short leg to Galway and two in-port races remaining Groupama are in a strong position to claim overall victory in their debut Volvo Ocean Race. PUMA skipper Ken Read even admitted that while his team certainly could come back and win, it would be tough. “I hope I’m wrong but I have a feeling we’ve seen the opportunity to win this race slipping away,” Read said.